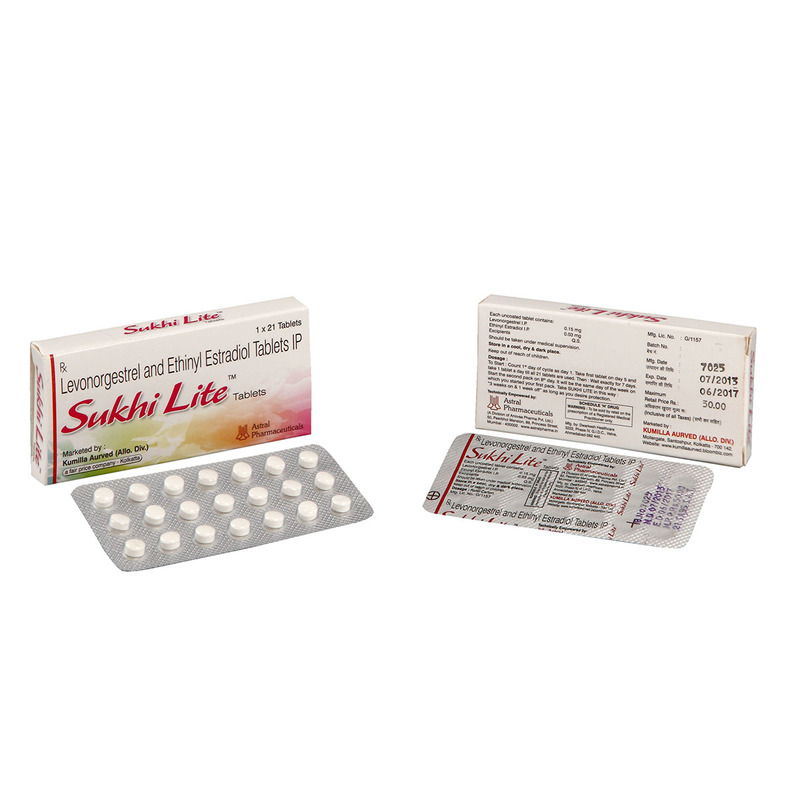 Levonorgestrel and Ethinyl Estradiol Tablets: Sukhi Lite is used to prevent pregnancy. Birth control pills have been shown to help make your periods more regular, decrease blood loss and painful periods (dysmenorrhea). 1 X 21 Blister Strips kept in a multicolor laminated box. 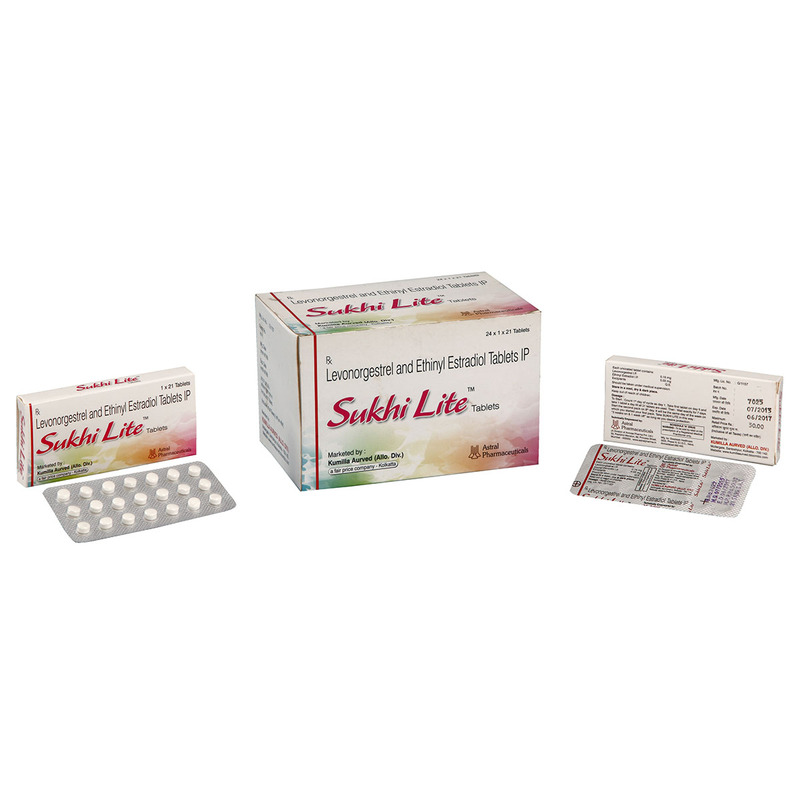 Levonorgestrel & Ethinyl estradiol is a Progesterone & Estrogen combination birth control pill. It is used to prevent pregnancy. It works mainly by preventing the release of an egg (ovulation) during your menstrual cycle. It also can work by making vaginal fluid thicker to help prevent sperm from reaching an egg (fertilization) and by changing the lining of the uterus (womb) to prevent attachment of a fertilized egg. Besides preventing pregnancy, birth control pills have been shown to help make your periods more regular, decrease blood loss and painful periods (dysmenorrhea).